Google is always looking out for you — at least that’s what they say when they introduce new things like the recent “deduplication on upload” feature in Google Drive. If you weren’t aware, here’s how the deduplication feature works: when you upload a file to Google Drive How to Organize Your Google Drive Like a Pro How to Organize Your Google Drive Like a Pro Google Drive's biggest benefits are its advanced search features. They can help you sort and organize your files and you'll always find what you need! Read More and a file with the same name already exists, Google merges the two files together and the older one becomes part of the newer file’s revision history. This is an excellent feature when you’re downloading, changing, and re-uploading things like documents, images, and other such files — but it isn’t always needed. If you want to upload a file without the deduplication feature taking effect, all you have to do is click on the Keep as separate file link after the upload is complete. This also works when uploading a folder where one already exists with the same name. To get the most out of Google Drive, we recommend checking out our Google Drive guide The Only Google Drive Guide You'll Ever Need to Read The Only Google Drive Guide You'll Ever Need to Read Google Drive is the perfect combination of online file storage and document management tools. 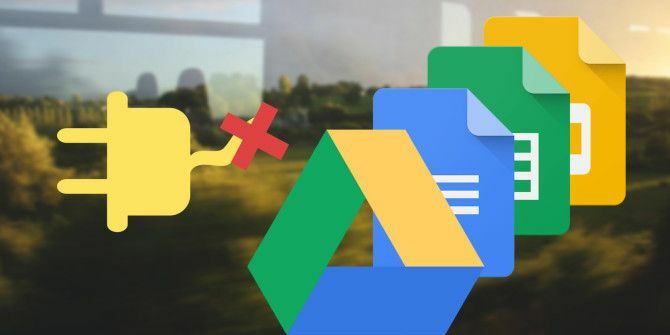 We explain how to best use Google Drive on- and offline, by yourself and in collaboration with others. Read More as well as these Google Drive search tips 7 Google Drive Search Tips to Help You Find Anything 7 Google Drive Search Tips to Help You Find Anything Is your Google Drive a mess? Find everything easier with our help. Google's search operators can find almost anything, including text in images (OCR) or photos based on content, e.g. your dog. Read More and these excellent Chrome extensions for Google Drive 15 Essential Chrome Extensions For Google Drive 15 Essential Chrome Extensions For Google Drive You've probably got a bunch of files on Google Drive -- and you're going to love these extensions and apps to make better use of your Drive space and the files you keep there. Read More . What do you think of the deduplication feature? Do you think changes like this are good or bad? Let us know in a comment below!